Clients are inherently self-centred and narcissistic. Of course they are. Their particular problems are the MOST important issue going on in your agency today. Think of each client as Regina George (Rachel McAdams) in Mean Girls. All her friends should be thinking about HER every day. Hey, your clients should be self-absorbed - it's their work, it's their job. About half the people on this list shouldn't be there. There should be six people in copy here maximum not thirty two. Some people would even be getting this message three times (clients chose to send it to everyone). This is a complete waste of the time of twenty six people. A very small agency can deal with this. You've got five or six people on the team and a dozen or so clients. There's only so much trouble your ten active clients can create for you. Most of the people on your very smart team can manage to keep that much information in their heads and even deal with the twenty or so interruptions each day, when your client sneezes or wonders where they left last year's document or isn't happy with the copy editing on a Tweet posted last Thursday (all of these are examples from real life). But when your agency grows and you've got twenty people handling sixty clients or more, suddenly it's not easy. Your top people are being interrupted at least thirty times/day on issues which have nothing to do with them. What Teamwork told us for the last year is that our top team should just learn to ignore what isn't important. I'm sorry but each senior member actually has to read each of those notifications, decide whether it affects us and take or not take action. Juniors are just bewildered much of the time and figure if there are senior people on co-notification, the best course of action is no action. Inaction is not something you want to encourage but you have no choice without Observer Status. So suddenly the company is paralysed for many hours/day. Twenty people losing an hour a day on just reading notifications which have little to do with them and require no action. But it's worse. It's a focus issue. A single interruption can cost a programmer a half hour of productive time. I'd say email promiscuity can cost an agency 25% of productivity or more. 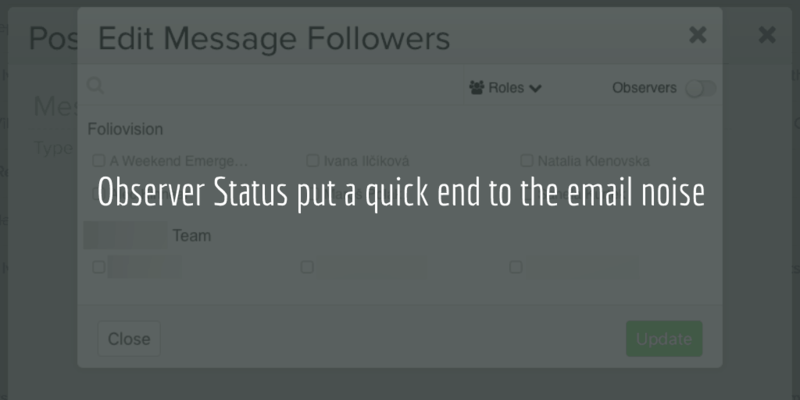 Even with Observer Status people will get some notifications which they shouldn't have. Let's imagine it drops from thirty unneeded notifications to five. If the interruptions were costing 25% of production, now they will cost around 5%. ten people doing €25,000 of business each month (not everyone is full time). Very nice. The company has an average of €1800/month to cover salary and taxes for each of those team members with €7,000 left over to cover rent, capital purchases, services and profit. There should be at least €5K of profit left on those numbers. Not bad. 20% profitability, more on a good month. increase that to twenty five people, with more part timers doing €50,000 of business (when the business gets bigger, you'll need more hands on deck just to handle traffic and project management). With the same average wage including taxes of €1800/month that's €45,000 in personnel every month. Your rent and expenses have gone up, eating up most of the last €5000. Suddenly your company is under water every month before you even open the doors. On the other hand, if by cutting down email promiscuity one is able to get an easy 20% productivity increase suddenly that team is now able to do 35% more business (of all the hours in a day only about two thirds are productive, so you get more than 20% output increases when you increase productivity) so that €50,000 would become €67,500 with the same 25 people. You now have increased profitability to €17,500/month from €5000/month. The agency is now no longer going in the red from trying to expand, with their project management software fighting them every step of the way. You also don't have to hire too many project managers to fight their way through all the email promiscuity and make sure developers can get to their work. Good project managers are expensive and cheap ones are worse than useless. Project managers will put a good team under water faster than even a flood. Indeed now you are just a couple of good clients away from a million dollar agency from your small €250,000 year agency. You can continue to expand as more business does not mean more interruptions for your top team. We're no longer a pure services business (we build and sell the most feature rich and easiest to use video player for WordPress, FV Player) so we are no longer entirely caught in this net. In the absence of Observer Status, I'd taken radical steps, even somewhat destructive ones to stop email promiscuity. They included removing top team members from even firing clients who couldn't learn to use notifications properly. 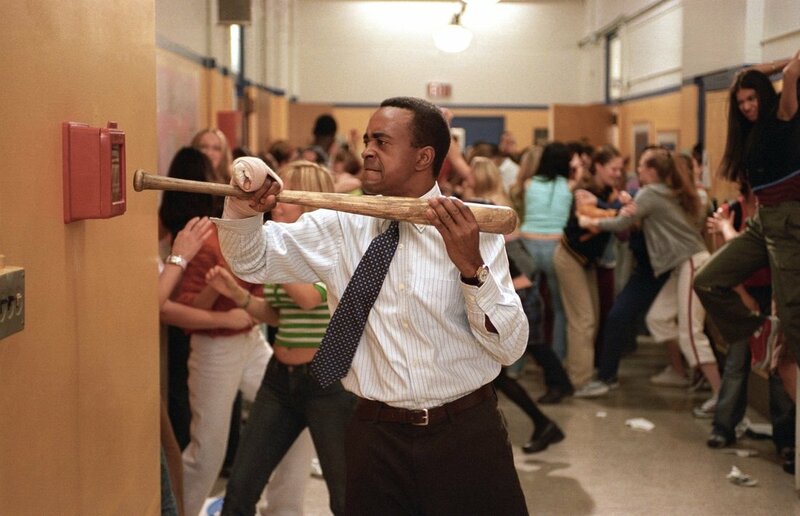 What was worst was the friction trying to teach Regina George not to just notify everyone all the time. There's no nice way to do it (if you are nice Regina ignores you, if you are tough, Regina hates you). Now Observer Status is not going to make all of you Teamwork users half a million euros a year (it will make some of you more though). There are some companies/situations whom Observer Status won't help much. a company who only manages internal projects. There's no need to have hidden staff as you can train internal staff to use project management properly (Teamwork themselves did find an internal use - to speed up assigning tasks in a project where there are six people who do the work and ten people who should have access to the project). 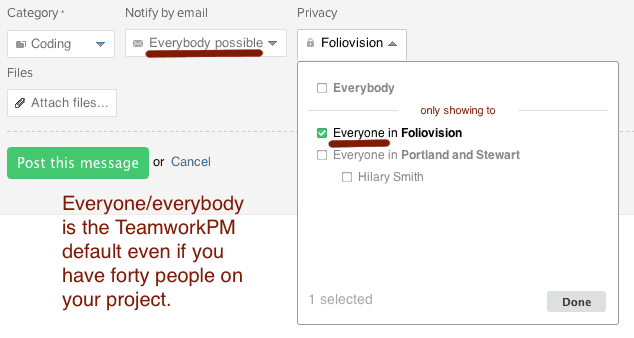 a small agency who only has three or four people on its own team (if everyone gets notified every time, who cares). There's little to no email promiscuity to worry about. a company who only has four or five or even up to ten external clients (with a small number of clients, even clients can be trained). 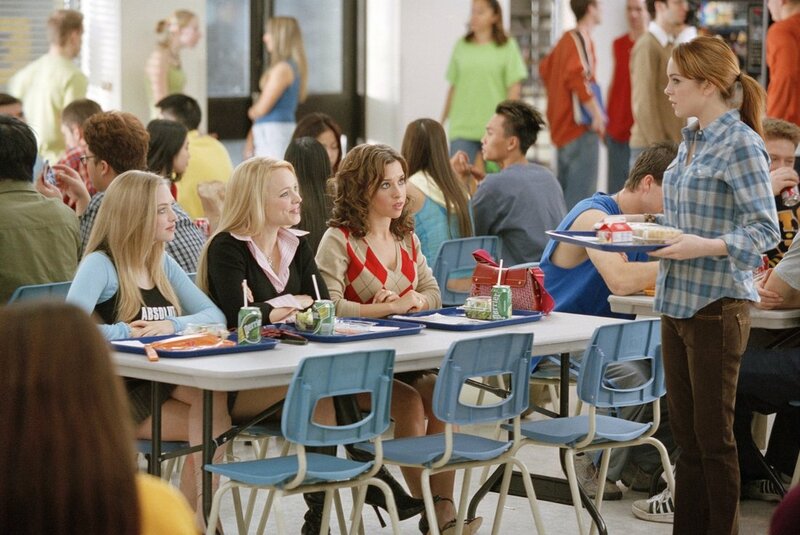 What's great about Observer Status is that it makes even Regina George happy. Now she knows whom she should be contacting. When she's excited she can even let all three or five of her visible project partners (on your side) know about everything. There are no visible barriers for her anymore. Regina is finally free to run wild Don't worry, there's still enough client training out there to keep behaviourists happy. 1. you still have to teach Regina not to post a new Message for every reply. 2. you still have to teach Regina to post a new Message when she wants to talk about a different subject (say visual design changes vs her social media accounts). Some may think I'm being too flippant here about client happiness. I assure you I'm anything but flippant about client satisfaction. Regina George's happiness is very important to you: you are dealing with sixty Regina Georges. Make Regina happy: your business depends on it. With Observer Status, you smaller agency can now grow. Teamwork will now help you keep the business they helped you grow.